You’re likely to find that a Sahaja meditation practice can offer the most complete, composite package of spiritual benefits you could ask for and those benefits are achievable in a very practical way. With a Sahaja practice, spirituality is easily integrated into normal daily life. How Does Spirituality Become Actualized or Real Through Sahaja? How can meditation make spirituality your personal reality? Throughout the centuries, spirituality has often been misunderstood and misinterpreted. The likely reason was that we human beings were evolving spiritually to more mature stages, progressively over thousands of years until we were finally able to understand and take advantage of the real deal — actualized spirituality, spirituality that becomes reality. Realized spirituality, simply stated, means that we get to experience, verify and influence our own spiritual evolution in real time and in a very hands-on way, rather than by simply memorizing spiritual theories or becoming storehouses of spiritual knowledge. In the late 20th century, the time was ripe for the complete package and for human beings en masse to actualize spirituality to their fullest potential. Pockets of highly spiritually evolved people have always existed through the ages, of course. But they were often detached from the rest of civilization, which either failed to understand them at all, or if it did, recognized and honored them as great saints. Integrate Spirituality in your Everyday Life. Often, the role of integrating spirituality into our lives in a practical manner is underestimated. While one can spend an entire lifetime trying to mentally absorb spiritual concepts, Sahaja provides an easy and practical method for actualizing spirituality and manifesting the associated benefits. This happens through the evolution to higher levels of spiritual maturity, being aware of the divine power, constantly interacting with it and harnessing it to continuously improve oneself. 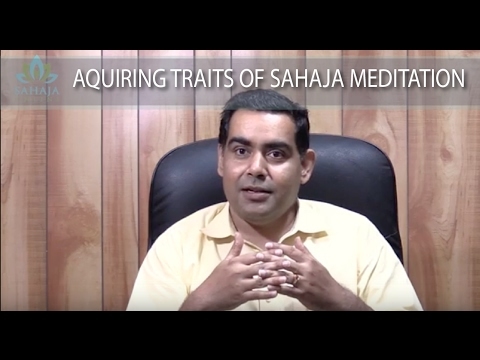 Sahaja delivers this spiritual realization and manifestation on an individualized basis. Each of us can experience, learn, customize and pursue our own spiritual path using Sahaja as a guiding force. Sahaja, in other words, offers a very real way to really experience specific spiritual qualities. Take compassion, for instance. The practice of Sahaja can help you experience the feeling of compassion for others. It will be a relative, tangible, perceptible change within that you’ll be able to detect, verify and continue to improve. Sahaja allows you to find the spirit within, awaken it, and actually feel it affecting your central nervous system. It creates a living spiritual existence, an actuality that we live and practice day in and day out — one that has value in all aspects of our lives. This is a very different existence from merely mentally acquiring libraries full of knowledge and becoming “highly learned” about spirituality. If that were the yardstick, spirituality book editors and researchers would be the most enlightened human beings to date! For thousands of years, human civilization has generally acknowledged and appreciated that there is an unseen, all powerful, natural force, an invisible hand guiding the movements of the universe. We called it by different names. We established different faiths and credos in an attempt to interpret this force and understand it. But the truth is that this force is universal, formless and subtle. In short: This is the ultimate power that we can ever have access to. Sahaja provides a direct connection to this all-pervading power and with that, an ability to experience it within our central nervous systems and through actual physical sensations. Not only that, Sahaja helps us detect and recognize the intensity of this power flowing through us once we become sensitive to it. Meditation actually helps us use this natural force in our lives to improve our subtler self. Over time, we can use this power to heal and cure the problems of our society and world at large, if we’re focused and committed to doing so. It almost seems too good to be true, but it really is true. The problem, though, is that we tend to take all natural things for granted. The compelling beauty of nature has existed for thousands of years, yet in relative terms, we tend to be more fascinated by human inventions than the intricate beauties of nature. Likewise, the ultimate achievement of feeling the natural, all powerful energy, too, may be met with nonchalance and complacency. Once the initial excitement wears off, it may even seem boring to some! Unfortunately, that just seems to be a byproduct of human nature — taking things for granted when they’re easily available. Over the years, many toiled to obtain access to this all-pervading universal power and force of energy, but only a few could realistically achieve it. And those who were successful did not believe in teaching others how to access it until they were “worthy” of receiving it. So the secrets of accessing this power remained restricted to a few. In 1970, Sahaja changed all that, providing Self-Realization en masse to large audiences, and in a relatively effortless manner. The Sahaja practice is not a “new” invention. Nor is it the latest meditation fad. Sahaja meditation is built upon ancient spiritual knowledge and techniques of yoga and meditation, while accelerating certain historically difficult, elaborate stages of yoga and meditation prescribed in ancient scriptures, such as Patanjali yoga. Our meditating ancestors were not so lucky. Their progress was much slower. Thus, Sahaja meditation techniques are literally able to hasten access to spirituality and allow you to progress more rapidly toward the ultimate stage of yoga and meditation (Samadhi as described in Sanskrit by ancient scriptures). Now, Sahaja is not “skipping stages;” rather, it is simply accelerating progress, providing a more realizable method of passing through the early stages of yoga and meditation quickly. 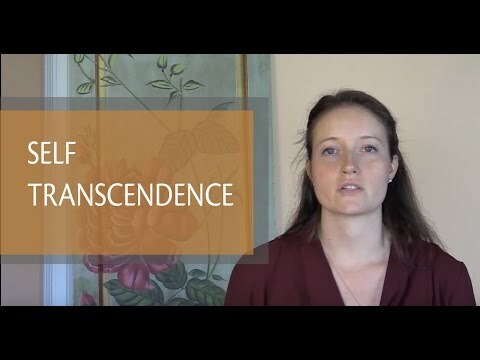 One key mechanism through which modern Sahaja techniques accelerate progress is through the all-encapsulating process of Self-Realization, which involves the awakening of the Kundalini energy. Sahaja is unique in that it shifts the meditator’s attention to higher planes of consciousness — the fourth stage of awareness or the Turya stage and the last stage of meditation — Samadhi (oneness). In the Samadhi stage, Sahaja provides a method for attaining Nirvichara Samadhi (Thoughtless Awareness) and, ultimately, Nirvikalpa Samadhi (Doubtless Awareness), if the practitioner has adequate focus and perseverance.For thousands of years, progressing through these stages was thought to be extremely difficult, achievable only by highly evolved practitioners and saints. But today, Sahaja opens the door for us common folk who have a strong desire for spirituality to access these states of consciousness. 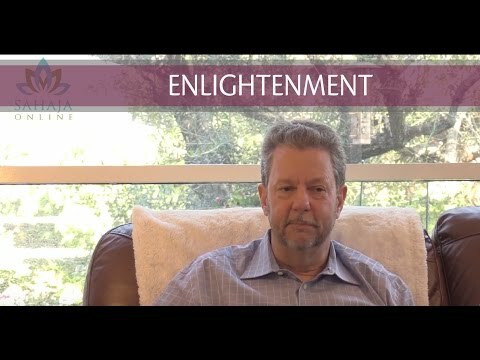 Sahaja meditation techniques are based on the same fundamentals that have been practiced for thousands of years; rather, they simply bring together all the spiritual truths in a more efficient, practical manner and actualize one’s spiritual awakening. The Sahaja practice does not conflict with the essence of any religion or the teachings of great saints and spiritual masters across all ages and civilizations. The Sahaja body of knowledge is able to effectively connect the dots between all their messages and provide a holistic view of spirituality. But at the same time, the Sahaja practice is rooted in the practice of spiritual meditation and attainment of true yoga (union) at an individual level, without forcing upon the practitioner religiosity, rituals or rigid dogmatic principles. The awakening of, and access to, the subtle energy system through the Sahaja practice allows practitioners to experiment, experience and discover their own pure inner or innate religion. This innate religion is ultimately a deeply personal one-to-one relationship between the practitioner and the divine power. The practice of Sahaja, in accessing this divine power, can help establish this one-to-one relationship and pave a path to self-transformation. Isn’t this the ultimate essence of any religion, irrespective of their individual structures or methods? Everything-Sahaja can be discovered, learned and experienced by the individual practitioner, any concept accepted only after experimentation. A Sahaja meditation practice is a genuine soul-searching process, and a remarkably effective one at that. Above all, Sahaja can help you develop a clear picture of spirituality and religions and how they can work in harmony with each other for an individual’s benefit. Sahaja meditation is intended for everyone. While spirituality is often viewed as mystical or holy or unattainable, detached from the day-to-day world, the pursuit of spirituality through Sahaja is ultimately a practical exercise in self-care, self-improvement and self-enlightenment. Sahaja meditation acts on your subtle energy system, which is a highly intelligent nurturer, providing you with accurate, detailed feedback on the state of your Kundalini energy and chakras. This constant feedback allows you to constantly introspect and implement real-time solutions for problems that may be causing you to deviate from your spiritual path. Thus, you’ll find that a Sahaja meditative practice is not just some highly philosophical dreamer’s notion of spiritual concepts; rather, it’s a practical tool that allows you to continuously nourish and repair the state of your Kundalini energy, chakras (thus, subsequently, your associated personal qualities, traits and behaviors), which allows you to stay focused on your spiritual goals. The Sahaja practitioner does not need to pretend to be spiritual or “act” spiritual. He or she focuses on keeping the subtle energy system in tip-top shape and exhibiting the qualities and behaviors associated with higher spiritual states. The combined effect of high self-awareness, sensitivity to feedback and verification of your actual experience can actually make the Sahaja spiritual practice logical and analytical — nearly scientific, a state which, some would say is 180-degrees apart from “spiritual” or “religious.” This effect creates a very practical, user-friendly form of a spiritual pursuit for all of us ordinary folks. Successful spiritual meditation is not limited to monks residing in caves high up in the Himalayas. Today, there are millions of people all over the world who pursue spirituality using Sahaja as their day-to-day guide… farmers, service people, construction workers, doctors, lawyers, business executives, stock brokers, finance industry professionals, housewives, college students, retired seniors, musicians and countless others. And to help them stay on course, many also draw the support from other Sahaja practitioners through collective meetings and other resources. While Sahaja can never be a crash course in spirituality, it can become a lifelong workshop for pursuing spirituality for those aspiring to fulfill their highest potential in life. Sahaja can help plant you firmly into a spiritual lifestyle that’s balanced with your normal real-world existence. For centuries, people seemed to assume that spirituality and living in the real world were mutually exclusive — that, for example, deeply spiritual or religious people couldn’t lead lives filled with the “normal” stuff such as jobs, families and social events. And vice versa. Not so in today’s world. Spirituality has a clear place in the modern age, and with the help of Sahaja meditation, it’s easy to access and integrate into a busy lifestyle. The Sahaja practice tends to rely primarily on the “Enough talk, let’s walk the walk” principle, placing a higher premium on experience, rather than simply acquiring knowledge. Many practitioners do, however, find that they have a thirst to acquire more spiritual knowledge and that it can be a complimentary benefit. But seasoned Sahaja practitioners will tell you that it’s more important to focus on the meditative experience and actually manifesting a spiritual way of life, rather than simply accumulating knowledge. Knowledge without practice is not enough to realize your full potential. Spiritual knowledge can be particularly useful as your meditative experience grows. What’s more, you’ll be able to correlate and verify concepts of spirituality through your experiences. The history of spirituality and the role and significance of great spiritual masters and their contributions is cast in a much clearer light once you actualize spirituality within you. 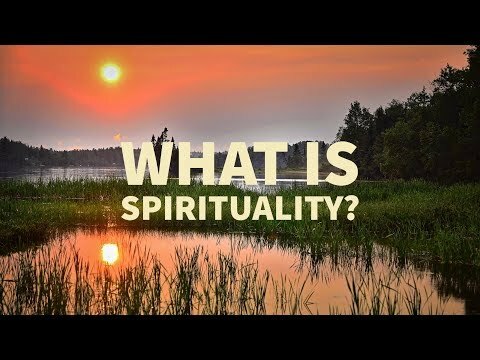 What does spirituality mean to you? And what are your personal spiritual development goals? Spirituality has been pursued and investigated since perhaps the beginning of time itself. Many who found the ultimate truth realized that the goal has always been to reform human beings and, through a continuous evolutionary process at the subtler level, move them to ever-higher states of spiritual maturity. Perhaps it could even be said that all knowledge of spirituality, all attempts to understand it and efforts to practice it may come to naught if you don’t achieve this end goal. Thus, from day one, any spiritual practice should focus on improving the practitioner’s personal qualities — at the very least, offering answers to what becoming a spiritual person really means and being able to sense how one measures up to this standard. From day one, Sahaja starts with Self-Realization, the actualization of the Spirit within, and creating awareness of the subtle energy system. Every subsequent meditation involving the Kundalini energy and chakras (as in the case of Sahaja meditation) is a further step in understanding yourself through the state of your own chakras, and thereby a gauge of your personal characteristics and traits. No doubt, a certain level of maturity is required to interpret this feedback and to accept one’s deficiencies or aspects that could use spiritual improvement. The good news is that this direct, live feedback mechanism, available on a daily basis, helps one constantly improve and maintain a concerted focus on long-term improvement. The practice of Sahaja meditation, which draws nourishment from the source of the all-pervading power and positively influences your inner Kundalini energy, enables many spiritual qualities to permeate our chakras innately and automatically. This improvement results from a combination of taking one’s attention to a higher state by connecting to the energy drawn from the all-pervading source, as well as maximizing the thoughtless awareness state. The Sahaja practice is not just a calculated mental effort in which you develop a sort of self-discipline or deliberately attempt to make a positive attribute stick to the surface of your personality. It’s a long-term process in which positive qualities percolate into our inner being and we begin to exhibit them in our behaviors and lifestyle. Self-discipline, focus and perseverance is still required, but only with respect to doing the meditation, keeping our attention clear, our connection strong, and surrendering to the powerful force. The absorbing and establishment of positive qualities (e.g., compassion and forgiveness) then become automatic results. At the same time, progress is never totally linear, and as is true of most pursuits in life, it’s often accompanied by trials and challenges along the way. Every test or challenge, when viewed as an opportunity to scale another peak and reach a higher personality state, will result in a gradual improvement of personality in the longer term. Over time, the key spiritual traits that really matter are established in our being, for example: innocence, creativity, pure desire, contentment, guru-like qualities or abilities, compassion, respect for traditions, eloquent communication, a sense of community, forgiveness. And ultimately, hopefully, we become a more unified personality with all these characteristics. While, for some, this may take time and concerted effort, a Sahaja meditation practice offers us a real shot at transforming ourselves into who we want to be. Do paranormal events really happen? Is there really life after death? Does God really exist, or is God just make-believe religiosity, existing only in the minds of those who have faith? Does God have different forms, and if so, what does that mean to humanity? What does “God is within us” mean? And so on. While the core focus of Sahaja is to attain knowledge that’s relevant to our evolution and personal experience, you’ll find that a Sahaja meditative practice can reveal explanations for some key mystical aspects that extend beyond what science or traditional theistic philosophy can offer. Sahaja meditation also provides clear guidance on what is good and necessary for us versus what is unnecessary and dangerous for us. You can think of this guidance as emanating from the positive supernatural forces of the divine versus negative forces such as practicing black magic or channeling dead spirits. Sahaja ultimately clarifies concepts relevant to higher consciousness, such as the purpose of human life (and, specifically, your life) and the highest stages of spiritual ascent that human beings can strive to attain. If such questions have always intrigued you, pursuing a spiritual journey through Sahaja meditation is likely to reveal the answers.